Please remember that we can represent YOU, not the seller, on the purchase of any condo listed on this page*. There is NO COST TO YOU for our services! THUNDERBIRD PASEO -tbird@weareazrealestate.com for details. 1, 2, and 3 bedroom updated homes feature granite countertops, new appliances, and wood laminate or tile flooring throughout! The community boasts a pool, fitness center with sauna, tennis court, gourmet BBQs, billiard area, and renovated clubhouse. Near ASU West and borders Thunderbird Paseo Park. 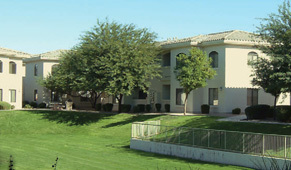 RENNAISSANCE VILLAS ON THE PARK - Located at the prestigious master-planned community of The Village at Litchfield Park, Renaissance Villas' location offers access to a multitude of golf courses, scenic regional and local parks, cultural facilities, educational institutions, popular sports complexes and many other assets. 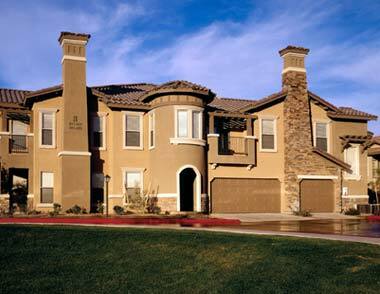 Renaissance Villas offers 12 distinct floorplans all with a one or two car garage included. Floorplans include 1, 2 or 3 bedrooms with square footage ranging from 811 to 1552 sq. ft. Contact us now for more information renvil@weareazrealestate.com. 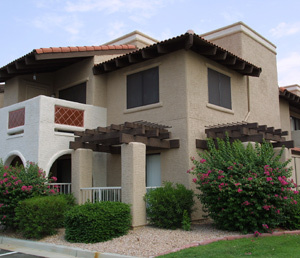 DESERT BREEZE VILLAS - 1, 2, and 3 bedroom condos conveniently located near the 101 and Indian School - this puts you minutes away from the new WestGate complex, which will have shopping, entertainment, and both the Cardinals and Coyotes home venues! The homes feature 9' ceilings, entertainer's kitchens, new floorcoverings, and washer/dryers. Within the neighborhood, you find a clubhouse with fitness center, plus pool, spa, and ample greenspace! desbr@weareazrealestate.com.